Situated in an exclusive gated development, in the pretty Town of Cranbrook, Ardea is one of 5 exquisite, bespoke family homes by the award winning developers, Mount Delvin Homes. Electric gates provide access into the secure and prestigious environment of Heron Mews where Ardea awaits. Built to the highest of specification for a discerning buyer with attention to detail very obvious throughout the entire house. 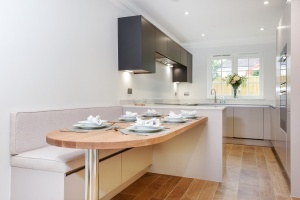 There is a beautifully fitted Burnhill kitchen, with Neff appliances and granite worksurfaces. Duravit and Vado bath and shower rooms, fitted with Hansgrohe and Merlyn sanitaryware. 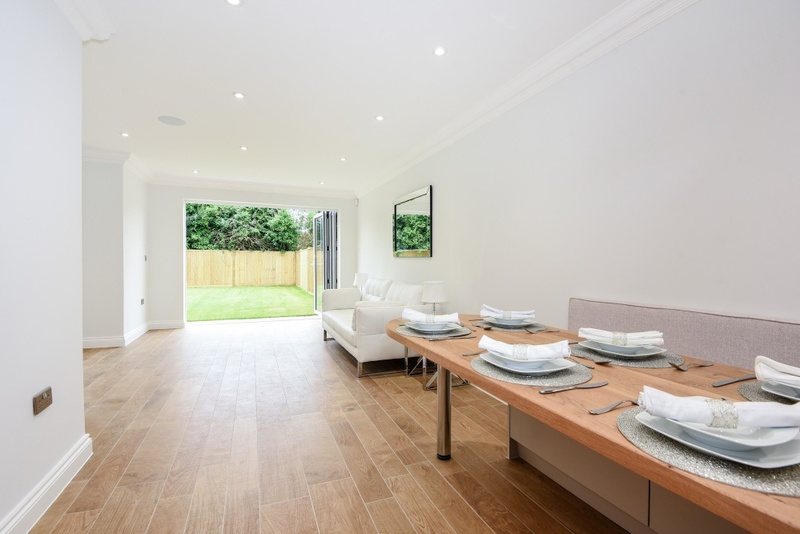 This is a house designed for technology and modern day living with CAT 6 cable which runs throughout the property, data points available in many rooms, and Sonos Sound System, ceiling speakers and CCTV cameras. 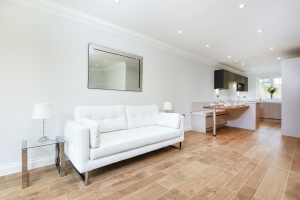 The property also benefits from underfloor heating throughout the ground floor. Ardea offers open plan living arranged over 3 floors with a Master en-suite shower room, a double bedroom together with a family bathroom on the first floor and a playroom/bedroom with a separate WC on the second floor. 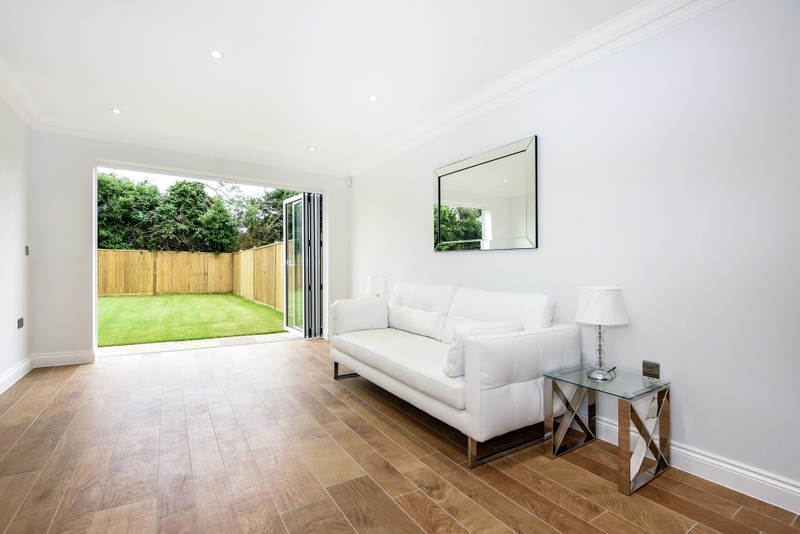 Bi-fold glazed doors from the reception room provide access onto the paved terrace which adjoins the house at the rear, perfect for entertaining. Lawns extend from the terrace with fenced boundaries on all sides. There is a private driveway for parking and an integral garage with electric up and over doors.